A number of spectators fled to Gobbler’s Knob in Pennsylvania to witness the annual Groundhog Day, where Phil – a groundhog, predicted the weather today. Groundhog Day is believed to have originated from Candlemas, which is a Christian Holy Day where Jesus presented himself at the Temple (Luke 2:22-40). Based from this tradition, it is known that if the weather remains calm during the festival, then the winter would continue, but if it becomes chilly, then winter will not come back for another year (Stevenson, Express, 2019). 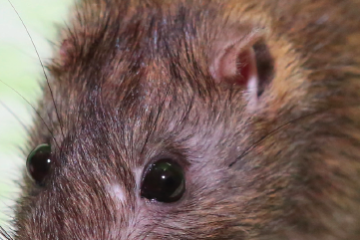 The same goes with Groundhog Day, where many believe the native rodent Phil could forecast the weather based on whether he could see his shadow or not. “According to legend, if Phil sees his shadow the United States is in store for six more weeks of winter weather. But, if Phil doesn’t see his shadow, the country should expect warmer temperatures and the arrival of an early spring,” according to StarTribune. 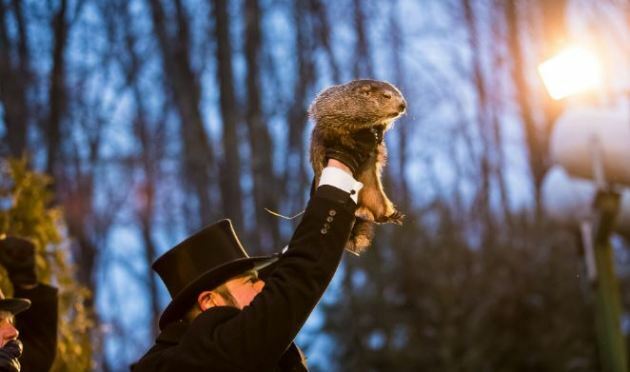 Today, people rejoiced as Phil did not see his shadow – signaling the end of winter in US and Canada. 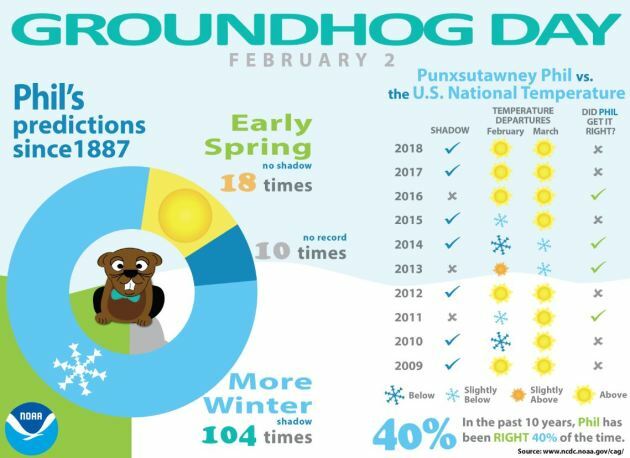 Since 1887, Punxsutawney Groundhog Club stated Phil has predicted the weather 20 to 40% of the time. Phil has seen his shadow 104 times to be exact and 18 times did he not see his shadow. Despite this, people still believes in the folklore and has continued the tradition ever since.